The Overlook condominiums in Jacksonville, Florida. Conveniently located in the Southside area on East Baymeadows Road, The Overlook is close to 9A, premier shopping and dining, grocery stores, banks, day care center, office parks, schools, and the beaches. The Overlook offers a gated entry, club house, swimming pool, fitness center, car wash facility and maintenance-free landscaping. Pulte presents open floor plans with concrete block construction, spacious owner's suites, two and three bedrooms, walk-in closets, screened-in patio or balcony, and covered parking. There are ten, three-story buildings in the community. Pricing range from $140's to $170's. 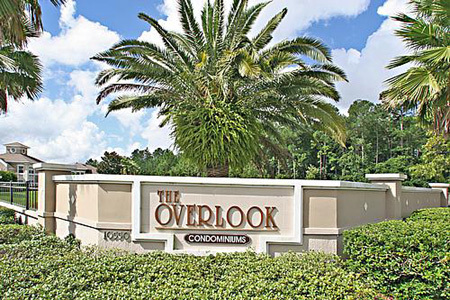 Call today at (904) 307-8998 for your personal tour of The Overlook condo.